The pilot's voice came over the speakers of the airplane, "We are now preparing for our descent to Mumbai. For international travelers, welcome to India. For residents, welcome home." My forehead was pressed against the window and I could feel the warmth of the morning sun on my face as the memories of India swelled in my throat, tears starting to stream down my cheeks. To be honest, I cried like a baby, trying to shield myself from the embarrassment of how emotional I was. India does something to me, something powerful, something divine. I had STS9's "Life's sweet breath" playing on my IPOD and it couldn't have been a more appropriate song for my return to this place that I love so much, a place that I somehow consider my home. It had been almost three years since my feet have touched the soil of this holy land and I could feel the energy of it resonate through my whole body upon arrival. I'm happy here. Happiness that I wish I could explain with words, but can only be felt. Being here, I'm reminded of the sensory overload that can be chaotic but, even more so, magical...the music of rickshaw drivers singing (honking) in the streets, the humming of holy men during evening prayer that blasts so loudly through speakers the entire city can hear, the jingle of women's anklets as they take each step, the smells of fresh curries being prepared for supper, and the sandalwood burning in every store-front. My eyes marvel at the bright colors of women's saris, my skin fights the dry heat of the desert climate but the chilling temperatures of the Himalayas, and my mouth savours the myriad of flavors in every meal. "Incredible India" is really an understatement and there is absolutely nowhere else I'd rather be. In the past two weeks, I have been reminded of, and Hannah has been introduced to, the confusion and chaos that is India, with late trains, changing airport terminals, language barriers, crazy drivers, uncomfortable stares, pollution, and anything from elephants to camels to monkeys parading around the traffic on the busy roads. I've had a blast playing "tour-guide", taking her to some of my favorite spots and showing her why my heart is so full here. I think she very quickly understood my cardinal rule though - when trying to get any information, you must ask at least six people, otherwise who knows where you'll end up! Wonderfully Wild. It's such a blessing to have a partner in crime to share these experiences with and to explore new and unknown territories for the first time together. 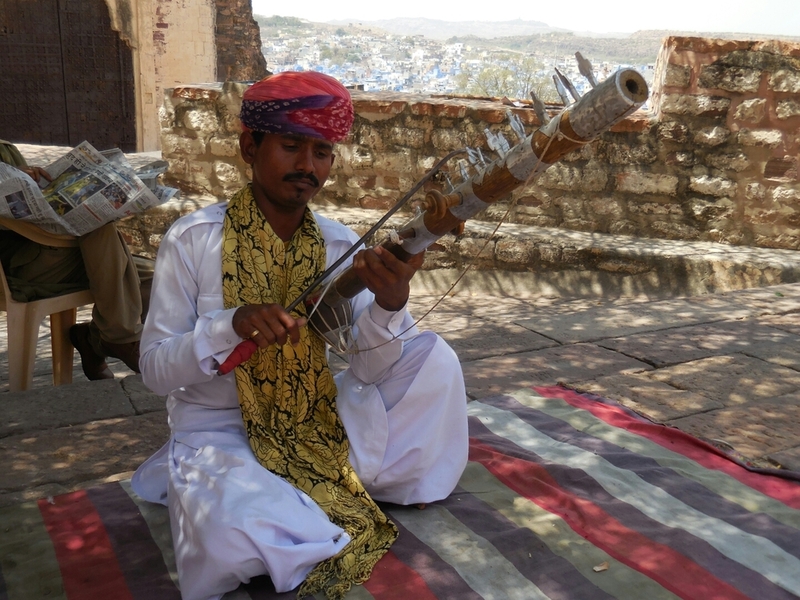 Our first couple weeks were spent in one of my favorite states of India...Rajastan. 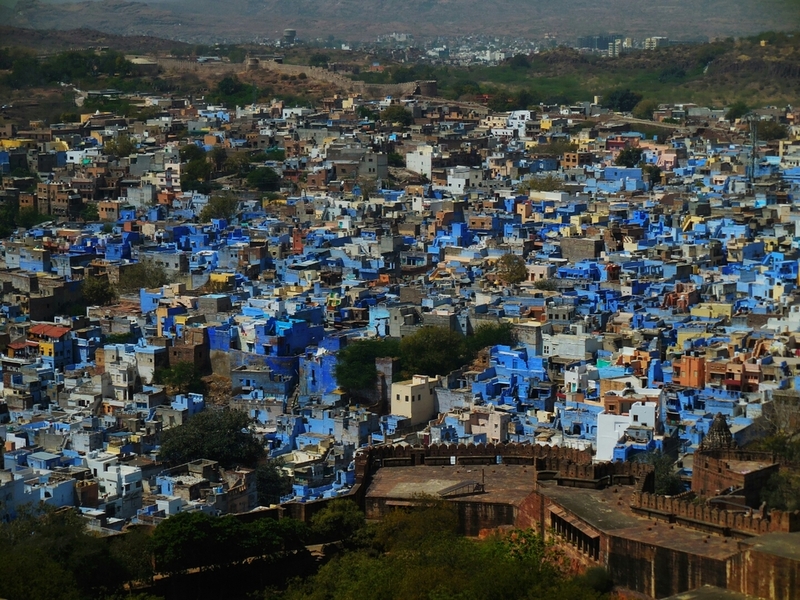 Our first stop, Jodhpur, also known as "the blue city". This city is represented by the elephant, a symbol of luck and the rolling hills of the city are painted with little blue boxes that people call their homes. We spent three days there, adjusting to the desert heat, getting lost in the maze of narrow streets, and exploring the history of India through temples, castles, forts, and food. Goodness gracious the food! After Jodhpur, we headed to one of my most beloved cities of India! Udapiur, "the white city" is represented by the horse, a symbol of power. Udaipur is a city that I stumbled upon during my last visit to India and I was immediately reminded of my love for this beautiful place. As is typical in India, when we arrived to Udaipur and climbed off the bus, we were bombarded by rickshaw drivers wanting to earn their daily wages. Of course our driver wanted us to stay at his brother's guesthouse, then his uncle's guesthouse, but I was determined to find where I called home three years ago. I didn't remember the name of the hotel, but as we winded through the maze of streets, I knew I could find it. Walking into Nayee Haveli was as exciting as arriving to India. (Wow, this staircase, this view, this room!). Hannah and I were literally placed in the exact same room I lived in three years ago. The family of men that run the hotel remembered my face and were so generous to allow us to pay whatever fit in our budget. "We are like family. You came back here. This is your home," the owner announced. We paid half of what the room cost was (so only $8 per night) and my heart was so full re-experiencing my past at Nayee Haveli. The view from our room was phenomenal, looking over Pichola Lake and the part of the city that rested on the other side. I was eager to explore and find those pieces of Udaipur that needed to be shuffled through my memory. We walked out of our hotel to Salim, the tailor who lives next door, reaching out his hand asking me where I was from. We both made the immediate connection that we, too, were family. He remembered me from three years ago, traveling with my friend, Keshiva, and exclaimed how he still has a picture of us in his house. I was home! We drank chai and caught up on each other's lives, getting to introduce Hannah to this place and these people who I love so much. There's magic in India, even in the wind. I would sit on the patio of Nayee Haveli watching the breeze push the surface of the water across the lake, with the lights of the city illuminated by its reflection. The breeze feels as if a thousand spirits are kissing you. It's magical and getting to feel that magic again is such a blessing. Hannah and I spent our time shopping at the local spots filled with beautiful stones, jewelry, and Gasnesha, Buddha, and Shiva statues, we visited sacred temples, took the sunset boat ride around the lake, and drank endless amounts of chai and honey lemon ginger teas. I had a hard time leaving Udaipur, especially after researching the very affordable value of property on Lake Pichola. The things I would do to run a guesthouse in Udaipur, offering massage, Reiki, Vinyasa yoga classes, and provide the comforts of the west with the ambiance of the east. It was time to move forward. The bus to Pushkar picked us up at 10:30 at night. Luckily for us this ($6) 6 hour bus ride was a double-stacked sleeper bus with private berths for beds. We slept as best as we could on the crazy roads of India until 4am, when we reached Ajmer to catch our final bus to Pushkar. It reminded me of last time I did this trek, when the bus driver dropped me off alone, on the side of the highway, in the middle of nowhere, at 3am...only for me to be a little scared and forced into an over-priced rickshaw ride the rest of the way to Ajmer. I wasn't going allow Hannah and I to be tricked in that way this time. We made it safely to Ajmer to catch our bus to Pushkar and, again, staying at the same guesthouse I stayed at last time I was here. It was only after 6am by the time we arrived so, just like last time, they allowed us to sleep on the floor pillows in the roof-top restaurant until a room opened up for us later in the morning. After catching up on some sleep, we went to the lake to have our ceremony. It's custom for new-comers (and returning guests) to be guided through a puja, offering rice, coconut flakes, and flowers to the lake to receive good karma from Brahma, Shiva, Kala, Rama, and the many incarnations of the many Gods that India holds in their culture. We prayed for good luck and love for my family with a focused intent on two of my Grandparents that I lost within a week of each other not long ago. It was a blessing to be in Pushkar for the full moon and lunar eclipse, which also happened to land on Hanuman's (the monkey god) birthday. The streets were flooded with people celebrating, and the ghats to the water were filled with worshipers and musicians blessing this sacred time. After Pushkar, we headed to the crazy city of Jaipur, also known as "the pink city" and represented by the camel, a symbol of love. Although the city was a wonderful experience, I was relatively eager to move forward on the trip. I was excited to get to the Himalayas, but also didn't have the energy for the chaos of Jaipur. Of course there were forts and palaces to visit, but once you've seen one (or twenty, because India is filled with them), you've seen them all. We made our rounds through the city and visited a holy place called monkey temple. We visited an old fort and also a beautiful palace. What will stand out the most in my memory is our new friend who was the one to take us all over the city. He was such a fun and corky guy with LOTS of jokes to keep us entertained. The energy of this place was profound and being there, being in India again, has reconnected me to a piece of myself that hasn't been present for a while. It's certainly a beautiful process that I'm grateful for.